“Again in the air, down the left field line. Alou… reaching into the stands… and couldn’t get it and he’s livid with a fan!”—FOX Sportscaster Thom Brennaman. That was the call when a fan in a green turtleneck, a blue Cubs hat, and headphones blindly reached for a near-foul ball during Game Six of the 2003 National League Championship Series at Wrigley Field, causing left fielder Moises Alou to miss what ought to have been an easy catch. At the time, the Chicago Cubs were up 3-0 in the game, and 3-2 in the best-of-seven series. 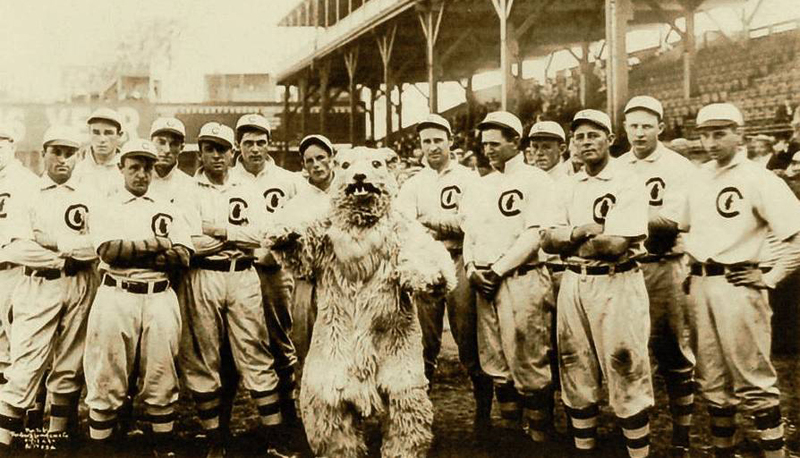 Baseball is an old sport, and the Chicago Cubs are one of its oldest teams. Founded in 1870 as the Chicago White Stockings, the team went through many name changes before landing on the Cubs in 1902, making it official five years later. In its early days, the franchise saw great success, but their best years were arguably between 1905 and 1908 under manager/player Frank Chance. In 1906, they posted a record of 166 and 36, which remains the best record in MLB history to this day. While the seemingly unstoppable 1906 squad would lose the World Series to their South Side rivals, the “Hitless Wonders” of the Chicago White Sox, they would bounce back and win in both 1907 and 1908, becoming the first team to appear in three straight World Series and the first team to win it twice. The future looked bright for the storied franchise, but that 1908 pennant would be the last they would see for over a century. Droughts happen in professional sports. The major sports leagues are incredibly competitive, and winning their top prize is hard. Just ask the NHL’s Toronto Maple Leafs, who have not won the Stanley Cup since 1967. 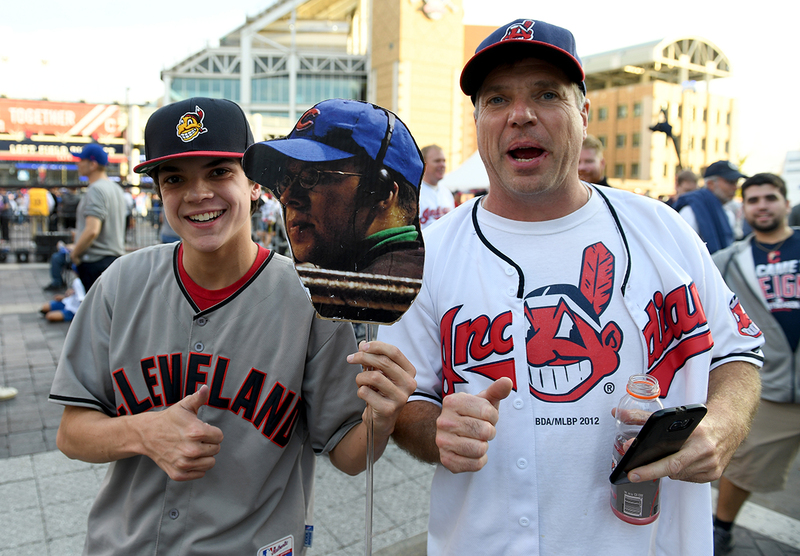 The MLB’s Cleveland Indians haven’t won a World Series since 1948. Heck, the Sacramento Kings of the NBA have been around since 1951 and they’ve never even made it to the finals! But for many decades, all of these teams could take solace in one thing: at least they didn’t have it as bad as the Cubs. As the years went by, the MLB played season after season, and the Cubs just couldn’t win the World Series. Though they had little idea how bad things would get, I’m sure that Cubs fans in 1945 were already pretty fed up with the drought. But if they had known what was to come, maybe they would have been a little bit nicer to William Sianis and his pet goat. 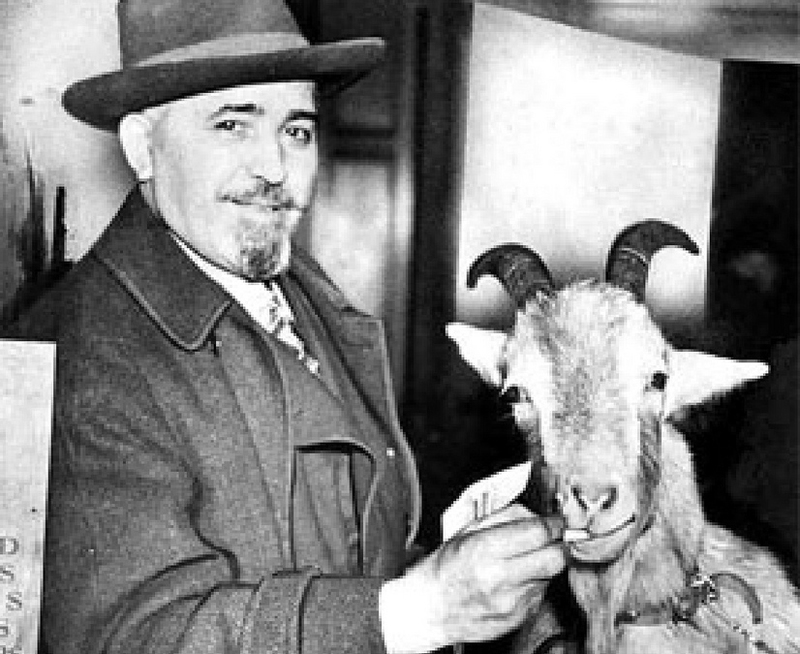 During Game 4 of the 1945 World Series, Sianis inexplicably brought his pet goat to Wrigley Field. Several fans complained that the goat’s smell was unbearable, and Sianis was asked to leave. There are several different versions of the story, but they all boil down to Sianis shouting “Them Cubs, they ain’t gonna win no more.” And so, the Curse of the Billy Goat was born, and the Cubs’ alleged curse would go on to reach record proportions. Of course, the Cubs would go on to lose that 1945 World Series, despite the fact that they were up two games to none at the time the curse was laid down. Several other painful moments for Cubs fans have been attributed to the curse. In 1969, during a tight playoff race, a stray cat crossed the path of Cubs captain Ron Santo. They would go on to lose to the New York Mets, the eventual World Series Champions. Painful playoff losses in 1984, 1989 and 1998 were all seen as the curse coming alive. But few moments became as iconic as Game 6 of the 2003 NLCS. 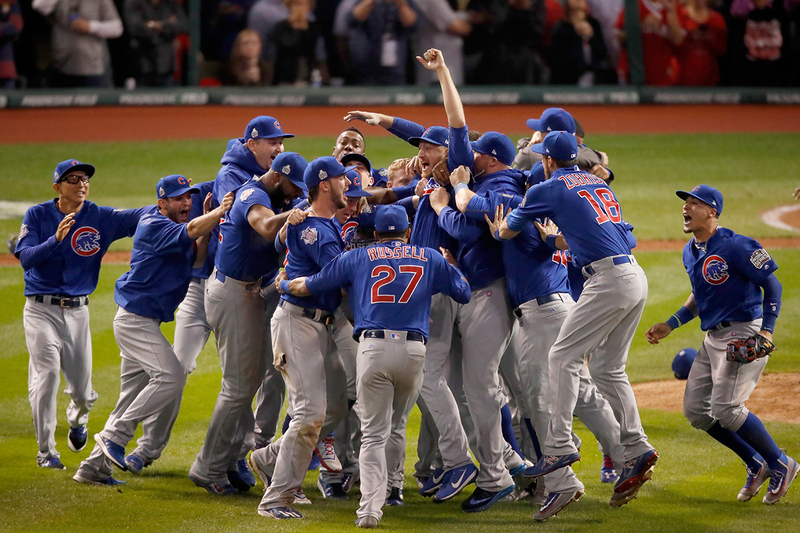 The drought was alive and well, and the Cubs had not been champions in 95 years. Steve Bartman, a youth baseball coach and lifelong Cubs fan, had scored incredible tickets along the third-base line. One can only imagine how excited he was to see his team so close to the World Series after so long. As any sports fan would know, there are few more exciting moments than ending a long drought, and the Cubs’ was the longest. Playoff games are frequently an enormous disappointment. You pay a ludicrous price, your hopes are so high, only to leave with the realization that you spent hundreds of dollars just to have your dreams dashed. But at least we can all be glad that we will likely never have as bad of a day as Bartman had on October 14, 2003. As soon as the fateful play happened, Bartman was pelted with boos from the fans around him. Since there were no Jumbotrons at the time, the rest of the stadium had no idea who had interfered with the play. But, many fans watching at home called their friends attending the game, and it wasn’t long before word got around. People started throwing things at him. Screaming obscenities. He had a beer poured on him. Eventually, he needed to be escorted out for his own safety. A fan base that had not seen a championship in nearly a century did not take what came to be known as the “Steve Bartman incident” well. It wasn’t long before Bartman’s turtleneck, cap, and headphones were all over the national news. His personal info soon spread on online message boards. The Chicago Police Department needed to post as many as six police cars outside of his home for protection. Illinois Governor Rod Blagojevich suggested he enter the Witness Protection Program. One can only imagine the vitriol that was thrown his way. But remember—Bartman was as big of a Cubs fan as anyone. There was no one more upset at what he did than himself. Not long after the Incident, Bartman released a public statement. “There are few words to describe how awful I feel and what I have experienced within these last 24 hours. Not only was this man devastated that his team had lost their chance at breaking the curse, he was also fully aware that he had caused it. Yes, the Cubs’ eight-run breakdown after the play was on them, but how could he not wonder what might have been if he’d just kept his hands at his sides? Couple that with the abuse he received from people the world over…I for one wouldn’t wish what happened to Steve Bartman on my worst enemy. As public opinion shifted from hatred to sympathy, there were several attempts to do exactly what Sutcliffe intended. The Cubs extended many peace offerings to Bartman over the years, but he refused them every time. He has been invited back to the park on many occasions—he has even been asked to throw out the first pitch. Each time, he has passed. He’s turned down tens of thousands of dollars from companies that want to put him in advertisements. Remember, nobody feels worse about the Bartman Incident than Bartman himself. While he remains a devoted Cubs fan, it comes as no surprise that he can’t bear to return to their home field and relive the worst day of his life. Of course, the Cubs eventually ended their drought. It took more than a century—108 years, to be exact—but the Curse of the Billy Goat was finally lifted in 2016. Cubs fans, I’m sure Bartman included, wept with joy. And the next year, when the organization was handing out Championship Rings to their players and staff, Cubs owner Tom Ricketts sent one to the Bartman household. In a statement, he said: “We hope this provides closure on an unfortunate chapter of the story that has perpetuated throughout our quest to win a long-awaited World Series. While no gesture can fully lift the public burden he has endured for more than a decade, we felt it was important Steve knows he has been and continues to be fully embraced by this organization. After all he has sacrificed, we are proud to recognize Steve Bartman with this gift today.” Bartman responded with a rare public statement of his own, which he ended by saying “I am relieved and hopeful that the saga of the 2003 foul ball incident surrounding my family and me is finally over.” And it really feels like he’s right. The Steve Bartman Incident wasn’t just about one man. It could have happened to anyone—fans interfere with balls all the time. Half the time, the team that gets interfered with goes on to win anyway, and no one ever thinks of it again. But this wasn’t just any game, or just any team. This was the Cubs. This was the Curse. And so Steve Bartman became a martyr for devoted sports fans everywhere, even if people still don’t feel sympathy for him. Any fan gaff since can’t possibly be as bad as the time the quiet guy with a cap and headphones killed the Cubs’ season. But now it’s over. Fans have—for the most part—forgiven Bartman, and he’s become just another footnote on the Cubs’ road to their 2016 championship. But I have a feeling you still won’t be seeing him at Wrigley Field again. Because, after everything, no one was more devastated after that game in 2003 than Steve Bartman himself. I bet not even a World Series ring will change that.